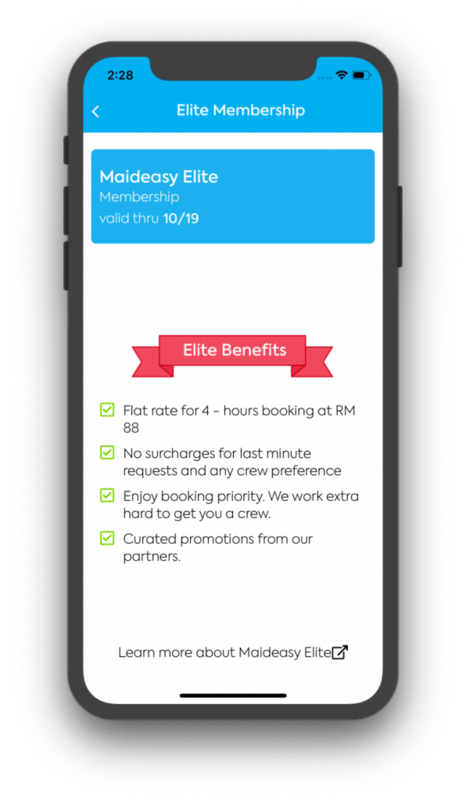 The best of Maideasy for our loyal customers! We will prioritize your booking, making sure that you have the best chance of getting a cleaner. No additional surcharge for same-day and next day booking or any special request. Book anytime you want. We will curate and bring you the best promotions from our partners. Grab your Elite Membership account now! We only accept 100 new members each month. Enjoy a discounted up to 26% off our regular price for 4-hours, basic housekeeping. Go to account page and select the “Elite” button at the top of the screen. Once payment is completed, you’re done! Welcome to our Elite Member and enjoy our Elite benefits. 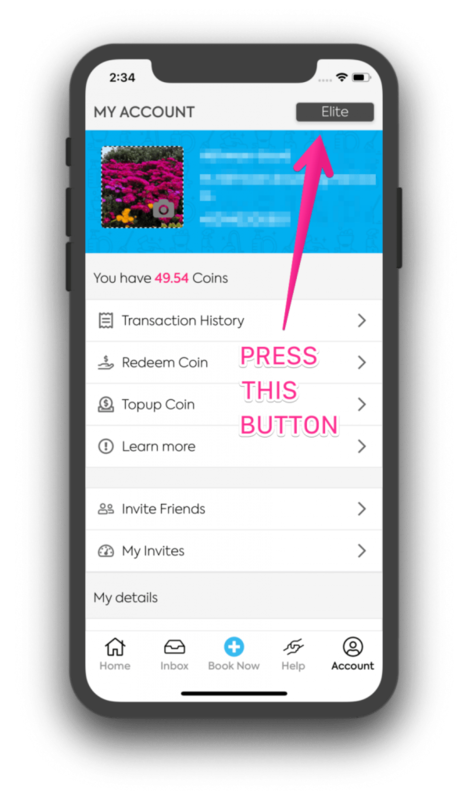 You may join by clicking the “Join” button above and proceed to the payment page. Make sure you enter the mobile number of your Maideasy account and your account will be updated accordingly. You should be able to enjoy the Elite Membership within minutes of registering as member. Do I need to be a customer to sign up? If you have not made any booking after your Elite Membership payment, you may cancel and request for a full refund within 30 days. If you have made a booking with your membership, your Elite Membership cannot be cancelled and no refund will be provided. Your membership will be automatically renewed at the end of your subscription. If you do not wish to continue with your subscription, please let us know 24 hours before the subscription expiry date. How are the saving applied to my booking? If you make a manual booking, you will automatically sees that the discount will be automatically applied at the checkout screen. There is no additional action needed from your end. 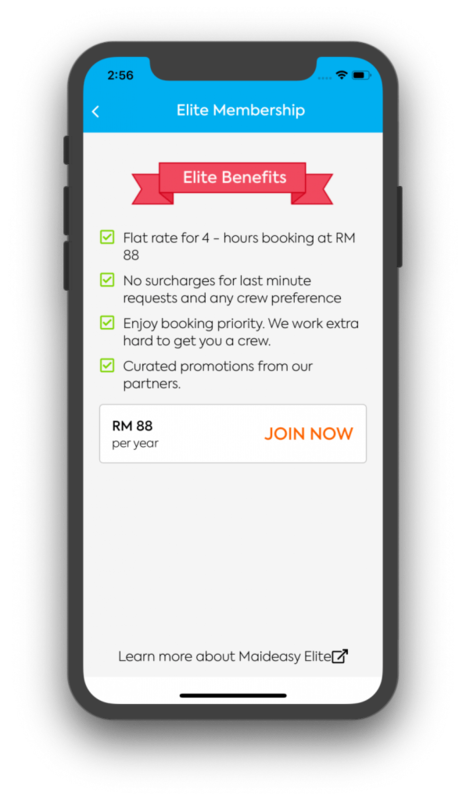 For regular booking, the Elite discount will also be automatically applied with no additional steps needed from your end. No. You cannot use additional discount code. Elite membership price is the best price we can offer anyway.